Exporter of a wide range of products which include commercial mixer grinder, ginger garlic wet masala grinding machine, heavy duty mixer grinder, ss u type blender and peanut skin remover. We are the Leading manufacturer and exporter of the Commercial Mixer Grinder and Pulveriser Machine in varies range and The leading manufacturer and exporter of Pulverizer, Roaster, Blender, Mixers, Food Processing Equipment, Agricultural & Ayurveda Machineries, Bakery Machineries, etc. 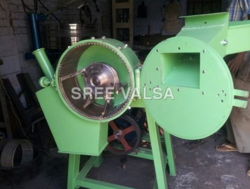 We have installed advanced machines in the production unit that enable us in manufacturing and exporting Garlic Ginger Wet Masala Grinding Machine. Our expert workforce uses the finest quality cast iron and mild steel to manufacture this machine. This machine is ideal for grinding and mixing garlic and ginger to make the paste. We make this Garlic Ginger Wet Masala Grinding Machine. available for clients in different designs and technical specifications as per their requirements. 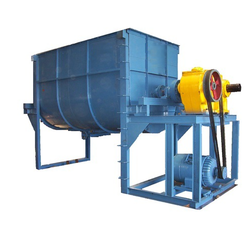 We are one of the leading manufacturers & suppliers of Heavy Duty Mixer Grinder. We are one of the leading manufacturers & suppliers of SS U Type Blender . We are a notable manufacturer, supplier and exporter of Peanut Skin Remover, which is used to remove the seeds from Amla. Amla is an edible fruit that is used for preparing pickles, juices and other products. It also has several medicinal properties and so utilized for manufacturing different kinds of medicines. Due to these factors, the demand for Amla and our Peanut Skin Remover is growing tremendously. Our equipment removes all the seeds without losing the nutritional value of Amla. It is made of good quality stainless steel, which deters the blackening of the device. Moreover, it is durable and cost-effective. 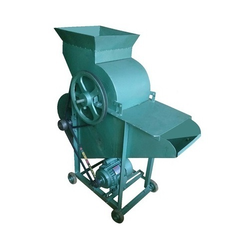 Looking for Commercial Mixer Grinder ?